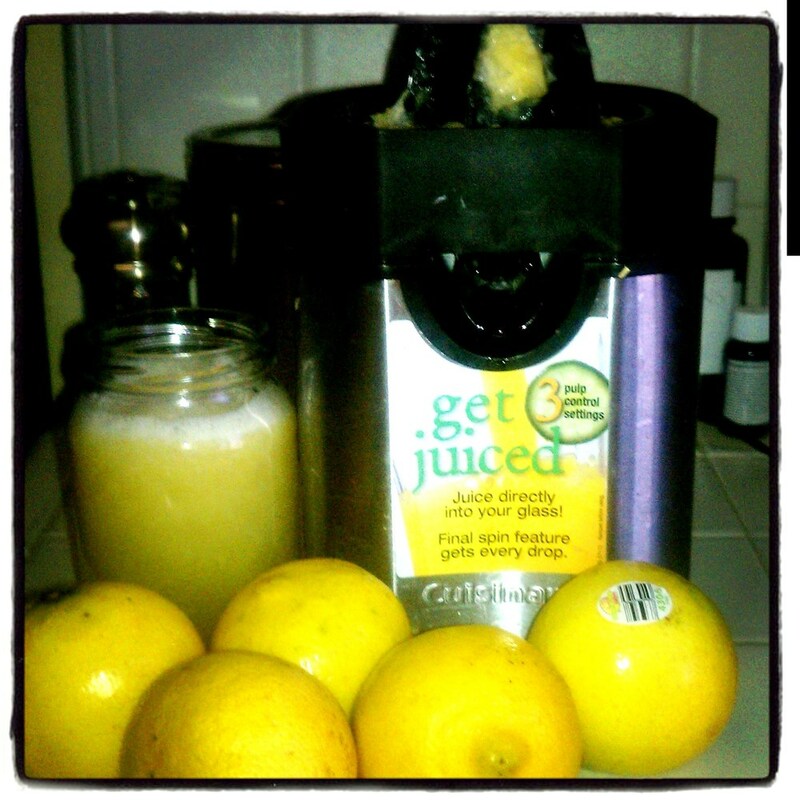 ere are some juicing tricks of the trade as honed in by Ray Doustdar. Hopefully these will save you time and also money, and help you stay on your way of becoming an everyday juicer! Adding fresh vegetable juicing to your diet is something that you can easily incorporate into your daily lifestyle, and it is one of the best things you can do for your own health. Juice now, thank yourself later! When it comes to juicing, there are some "Tricks of the Trade" that I wanted to share that will hopefully save you time and money and make becoming an everyday juicer even that much simpler. I will keep adding to this page, so check back often for updates. A super easy thing that you can do to save clean up time, is to take a plastic bag or compost bag if you have one, and linen the pulp container of your juicer. This way, when you are done juicing, you can do not have to clean that container, rather simply you can take the bag out of there. 1. Tie a loose knot around the bag, and save it overnight. Then use the pulp, along with some protein, maybe chia seeds, or help powder, and make a smoothie the next morning for a protein & fiber packed breakfast or midday snack. 2. Compost the pulp into your garden or elsewhere by dumping it out from the bag. If you are using compost bags, then just tie the bag up and simply compost it. 3. Dispose of it in your trash, simply tie a tight knot, and wish it a safe journey. Adding both a Lemon and a Lime to each and every juice is something that you should do for multiple reasons. 1. Lemons and Limes are one of the best ways to alkalize your body and help remove acidity and detoxify your internal blood stream and organs. It has become very popular these days for people to start their day with some hot water and then squeezing a lemon into it. You can do this, but then why not take your juices to that next level as well and also add them to your juices. 2. Now that you are sold on adding a lemon and a lime, the best way to "squeeze" all the detoxifying juices from these citrus celebrities is by buying a $30 or $40 citrus juicer, like the one to the right here. If you want some OJ... here is how you do it! NOTE: I also use this to make myself a glass of fresh squeezed OJ many mornings. If you really like orange juice, this is the best way to have it. Next time you are at the grocery store, pick up that bottle of OJ, and turn it around. You will see just how little Vitamin C you are getting, and just how much sugar you are taking in. There is nothing "natural" about a bottle of orange juice that can sit on the shelf for 1 year... think about it.